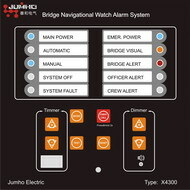 A bridge watch alarm system is a device which triggers an alarm if an Officer on Watch (OOW) becomes incapable of performing the OOW’s duties. IMO had adopted the performance standard as MSC. 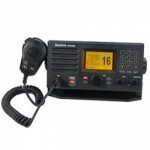 128 (75) and there are ships which have already installed the equipment on a voluntary basis. Currently, there are two types, i.e., one which requires the OOW to press a button in an interval (if he fails to do so, it triggers the alarm), or another, which detects movements of the OOW, using the motion sensor technology. (So far as the sensor finds movement of the OOW, the alarm will not go off). 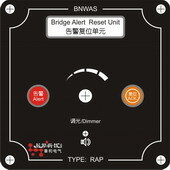 1st Stage Alert Reset Unit (RAP) is used to give visible indication and audible alarms for all three stages, as well as acknowledge alarms of all three stages. 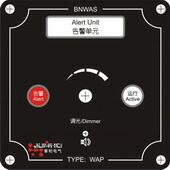 2nd & 3rd Stage Alert Units (WAP) is used to give visible and audible alarms for 2nd and 3rd stages, but has no control function. 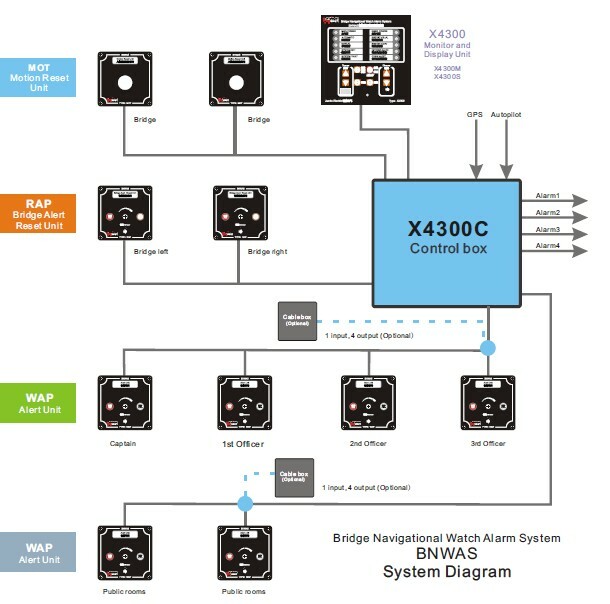 Motion Reset Unit (MOT) detects movements and automatically resets the BNWAS accordingly. 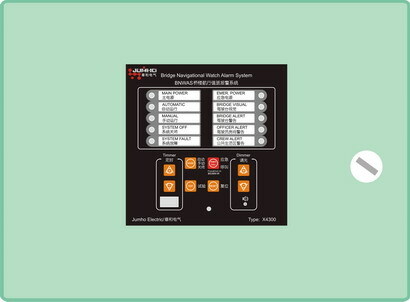 Junction Box (JB04) has one input port and four output ports to simplify terminal connections among Control Box (X4300C), 1st Stage Alert Reset Unit (RAP), 2nd & 3rd Stage Alert Units (WAP), and Motion Reset Unit (MOT).